A tray that fits to most walkers with an adjustable hinge system that requires no drilling and is easy to assemble. 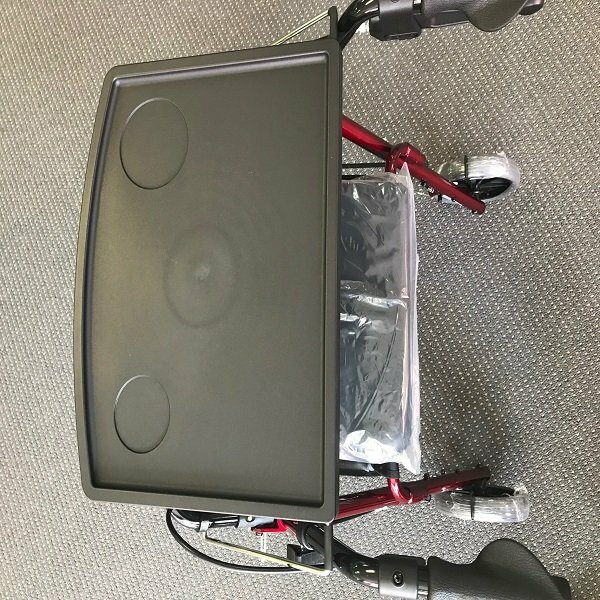 Strong light weight construction of a Polypropylene Reinforced Tray with Stainless Steel Fitting. 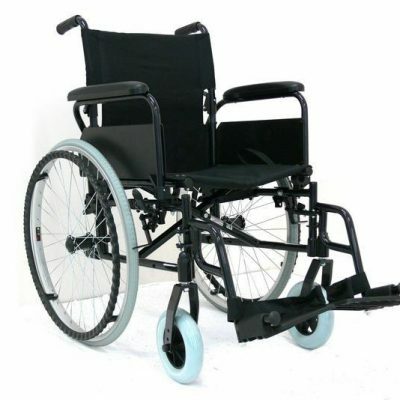 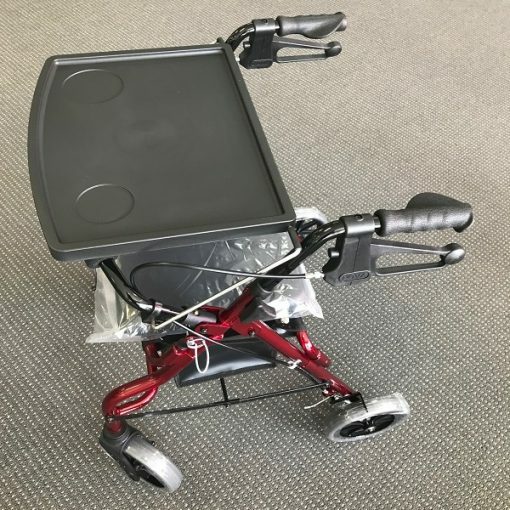 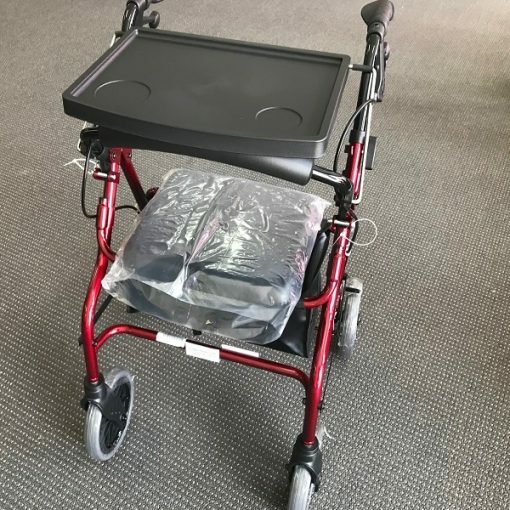 Provides a stable flat surface to hold meals, drinks, magazines, tools etc.The seat walker will still fold with tray table fitted, with the tray being easily removable if the user no longer requires it.